Rainbow Training Institute Ofering oracle fusion Manufacturing Training In Hyderabad The aim of this course is to demonstrate the how the functional roles of manufacturing engineer, production supervisor and production operator use the Manufacturing application. You will learn how to create and update work orders, run the pre-defined reports using the Oracle Transactional Business Intelligence (OTBI). 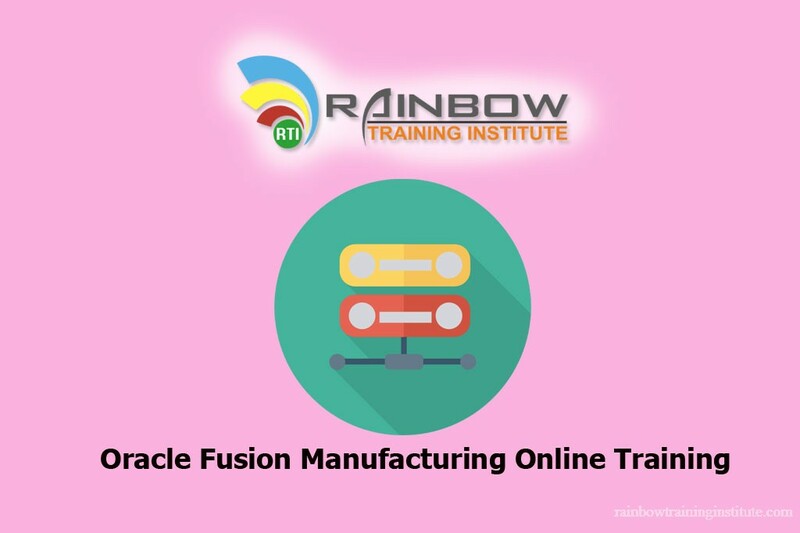 Rainbow Training is best corporate level training for Oracle Fusion Manufacturing Training .Here we are offering oracle fusion Manufacturing training In Hyderabad And Oracle Fusion Manufacturing corporate Training across global. Rainbow Training is best corporate level training for Oracle Fusion Manufacturing Training In Hyderabad .Here we are offering oracle fusion Manufacturing training And Oracle Fusion Manufacturing corporate Training across global.